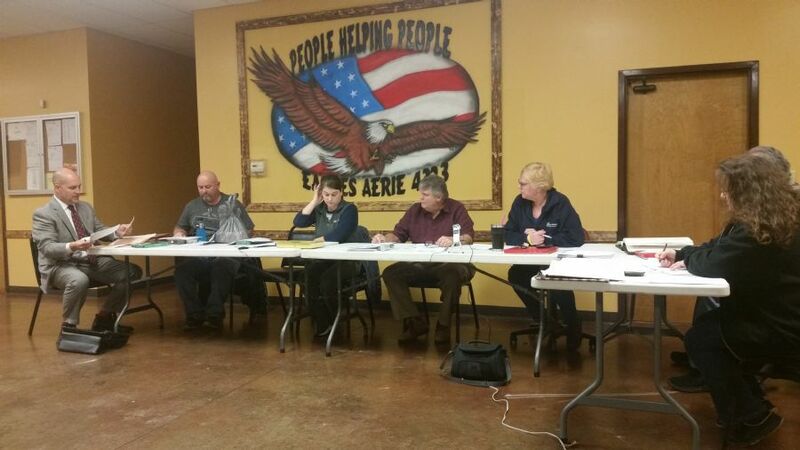 The Lapel Town Council held its last scheduled meeting of 2018 at the Eagles on 9th St on December 20th at 7pm. Members present Dave Taylor, Lindsay Washmuth, Tony Pearson (Vice President), Deb Wainscott (President). The Town Council discussed a water bill in excess of $1,000 a resident had received at 1220 N Main St. Resolution of the excessive bill included replacing the water meter, additional meter reading and adjusting the high bill to the average for that address over the last three months. Town employees were sure there were no water leaks. A motion to remove the "new hire rate" for employees in the salary ordinance was discussed but ultimately not voted on. Dave Taylor believed you "can't have the pay scale wide open" and thought it would be unfair to the existing employees. He mentioned that the Town Council had been trying to raise existing employee wages. The Town Council also discussed and then approved allowing Town Employees to carry up to 3 personal / vacation days over into the following year, but they would need to be used first ahead of any days accumulated in the new year. Lindsay Washmuth commented that employees "need a vacation from work". The 2019 Salary Ordinance was approved and may be amended during later meetings. The Town Discussed hiring a legal firm Taft Stettinius and Hollister, LLP to handle the mediation between the Town of Lapel and Vectren over a dispute on the south side of Town. The Council approved hiring the new firm under recommendation of the Town Attorney at a rate of $395 per hour and to be reviewed should the case move from mediation to litigation. The Council approved re-plotting 20 acres of agricultural land to be split into a 3 acre and 17-acre parcel after a favorable recommendation from the Planning Department. David Bodenhorn requested the Town review culverts before they start road improvement projects to ensure older culverts are replaced to keep water flowing. Gary Shuck (Planning President) announced after looking into a company to do a Road Impact Fee study he was told it could cost as much as $80,000 to have the study completed. Initially Town Council and Planning Board members had hoped it would cost around $10,000. Road Impact Fees would allow the Town to generate extra money on new developments to go towards road improvements. Impact Fees would only be charged on new builds. Nothing was decided during the meeting. The Town Council is now seeking 5 local residents to serve on the Redevelopment Commission. Town Council voted to approve the addition of Christmas Eve as a holiday this year giving Town employees a four-day holiday. Town Hall will be closed Christmas Eve and Christmas Day (December 24th, 25th) and New Year's Day.